When defenceless, you counter attack. 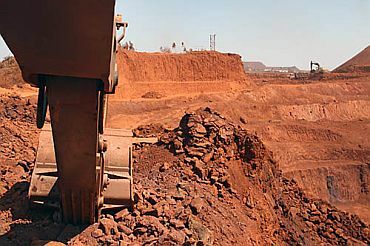 This is the strategy that Karnataka Chief Minister B S Yeddyurappa has decided to adopt against the opposition, which is gunning for his head in the wake of the soon-to-be-released report on illegal mining. Vicky Nanjappa reports. 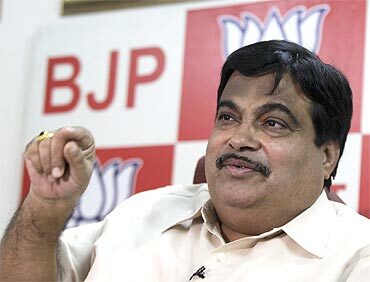 Facing heat from opposition parties as well as from a section of his own partymen, who have been gunning for his ouster, Karnataka Chief Minister B S Yeddyurappa dashed off a letter to Bharatiya Janata Party President Nitin Gadkari shortly after his return from Mauritius, where he was on holiday with his family. Yeddyurappa has a lot of work on hand. He had earlier made a lot of hue and cry that the report was leaked. Now, however, his advisors appeared to have told him that the best strategy to adopt, is to take the Congress head on regarding the phone tapping issue. Yeddyurappa in his letter asked Gadkari to set up a committee under chairmanship of General Secretary H N Anantakumar, his political rival within the party, to go into the development works initiated by his government, according to sources close to him. Earlier, Karnataka Lokayukta Justice Santhosh Hegde had said that his phones and also that of his officers were being tapped. The BJP has denied indulging in any such activity, and has alleged that the Congress was behind it all, since the phones lines were allegedly being tapped at the behest of the Union government. The BJP high command, which is discussing Yeddyurappa in New Delhi, is also discussing the possibility of taking the Congress on, on this particular issue. Ideally, the national leadership would like Yeddyurappa to be replaced, but the impediment is that he is refusing to let go of his chair. They realise that they will need to find a solution to this problem without disturbing the dynamics of the BJP in Karnataka. Even if forced to step down, Yeddyurappa has his own set of rules and conditions which is not acceptable to a large number of the people within his party. A source said that these goings on have put the high command in a fix, and they are looking for other options. At the meeting the leaders of the high command have discussed that it would be virtually impossible to take on the Congress in Parliament if Yeddyurappa continues to be the chief minister in the wake of his name being dragged into so many issues. Yeddyurappa, in his letter, said that after Ananth Kumar committee submits its report, the party could take a view on his political fate and not before that, in a veiled warning that no action would be acceptable to him at this juncture. Yeddyurappa shot off the missive in the wake of reports that Gadkari has called an emergency meeting at Delhi to discuss the Karnataka political crisis. 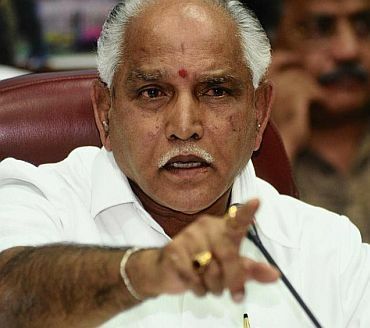 A source said that the high command will summon Yeddyurappa to New Delhi once the Lokayukta report is out, and speak to him about all these issues. However, what Yeddyurappa is likely to convey is that he cannot be changed based on findings, and it should be left for the judiciary to decide. Moreover, he would also want the high command to make a bigger issue of the phone tapping incident and take the Congress head on on the issue. Yeddyurappa, who conducted special prayers at a temple near his house on Monday, will speak to the media in the evening. At the same time, rebels factions are also meeting separately to chalk out the future and ensure that Yeddyurappa steps down, the source added. 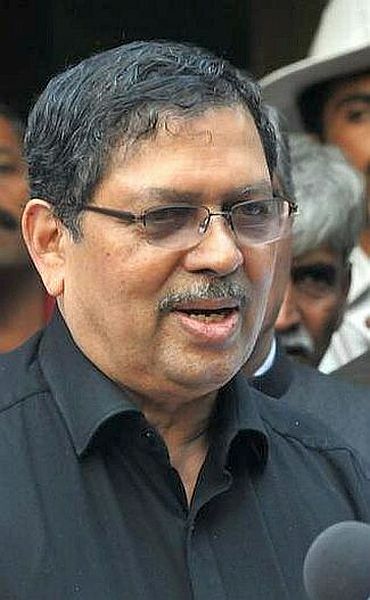 Mining scam: Why K'taka Guv won't jump the gun? What has silenced the rebellious Reddy brothers?